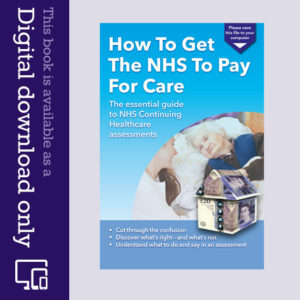 When applying for NHS Continuing Healthcare – free funded care for your relative, there are various administrative bodies involved, and the terminology can be confusing if you are just starting out on this journey. Listed below are some of the key bodies you are likely to come across, and a brief description of their roles. The National Framework for NHS Continuing Healthcare and NHS-Funded Nursing Care (revised October 2018) provides that CCGs are “responsible and accountable for system leadership for NHS Continuing Healthcare within their local health and social care economy”. 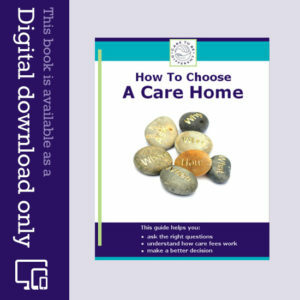 If your relative is about to go into a care home, or is already in a care home, the CCG is your primary target. You should approach your CCG and request that your relative be assessed for NHS Continuing Healthcare (‘CHC’ for short). If your relative has a ‘primary health need’ they may be entitled to receive free fully funded care for all their care home fees and accommodation. For more information read, ‘Primary health need’ made simple – what does it really mean? CCGs are also the body you would approach to seek retrospective reimbursement for care home fees that have already been wrongly charged, and which should have been the primary responsibility of the CCG to pay in the first place. Ensuring fair and robust processes are carried out – whether undertaking an initial Checklist assessment, a Multi-Disciplinary Team assessment, an Appeal to a Local Resolution Meeting, or when attending an Independent Review Panel. The CCGs are accountable to NHS England. NHSE functions include “providing strategic leadership and organisational and workforce development, and ensuring that local systems operate effectively and deliver improved performance”. NHSE oversee budgeting, planning and the day-to-day operation of the NHS. NHSE are ultimately responsible for ensuring that the NHS National Framework is adhered to, and correctly applied by all CCGs when carrying out their various functions. 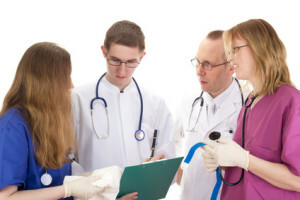 If you wish to appeal the outcome of a Local Resolution Panel Meeting, then you will need to contact NHSE and request the matter be referred to an Independent Review Panel (IRP) which is chaired by a representative from NHS England. NHS England recruit its constituent panel members from Local Authorities and CCGs (see above). If your relative is not eligible for free NHS Continuing Healthcare (CHC), then they will either have to ‘self-fund’ ie pay for their care privately (perhaps out of savings / sale of their home) which can be hugely expensive, or else seek Local Authority (Social Services) funding instead. However, Local Authority funding is means tested, and so your relative may be asked to pay for their care unless they have capital or assets in less than £23,500. However, where it appears that an individual may be eligible for NHS CHC funded care, the Local Authority must refer the individual to the relevant CCG for assessment. Local Authorities and CCGs generally co-operate and work together in partnership in various key areas in an attempt to integrate health care and social care more effectively. Indeed some Multi-Disciplinary Team assessments are carried out with a Social Worker present. Representatives from the Local Authorities can also sit on Appeals at an Independent Review Panel if requested to do so by NHS England. A note of caution: Local Authorities and CCGs alike have budget constraints to work to. NHS CHC funded care should be free at the point when you need it. But, as finances are involved, each body may try and push a potential applicant to the other organisation, (or worse discuss, paying for care privately even before considering any assessment), so as not to drain their own resources. That can be frustrating for families, as their relative is ‘batted’ back and forth between the two organisations, whilst seeking funding for care home fees. The name gives away its role. The CQC is a separate organisation that oversees the CHC process to ensure individual’s rights are being protected; so those who require a full assessment for NHS Continuing Healthcare Funding are referred to their CCG, with all records being available and assistance in place for the assessment process to proceed. Ultimately, if there is an abuse of process, or a matter that needs reviewing because the decision making process has not been fair or robust, you can make a formal complaint in writing to the PHSO. However, this is your last resort, not the first. Your complaint will set out the facts (with documentary proof if available) and describe why you consider there has been an abuse of process. Simply not liking or agreeing with the outcome of any failed assessment, is not usually sufficient grounds to complain. The PHSO are only really concerned with abuse of process, and not whether the actual decision to refuse CHC funding is correct. The complaints process itself is not difficult to deal with, but it can be lengthy, as the PHSO generally have a backlog of cases to deal with. CCGs are obliged to carry out the recommendations of the PHSO’s findings. For example, if the PHSO consider that a CHC assessment is defective, the PHSO can recommend that it be re-done, and the CCG should comply. Agreed. The process is exhausting and seemingly designed to defeat progress or a satisfactory outcome. You should also be aware that many CCGs outsource their CHC function to CSUs – Clinical Support Units – who purport to be specialists and act like a management consultancy unit on behalf of the CCG. It would be a big mistake to assume the service you’ll experience from a CSU will be a vast improvement upon the many shoddy behaviours the CCGs demonstrate. Having dealt with two CSUs I can say they too ignore letters sent by email -and sometimes by Signed For until prompted to reply. You’ll also find they’re good at passing your call around the telephone system or giving you dead lines to call. They also dislike publishing any policy which you might assume both you and they will follow. They’ll amaze you with their lack of basic principles of Natural Justice, and knowledge of The National Framework, and tend to go silent if you point out their errors or ask them to keep to the rules. If you “Win” they’ll send out a letter indicating that you’ll probably have to wait some time for reimbursement while they further “verify” your claim. In my experience, this can take 10 months, and may involve re signing forms previously accepted because they’ve since changed their logo! Look at Redress Guidance and consider if this document, drafted by the NHS after a number of Ombudsman rulings is fair. Should you be expected to act without legal representation when their staff flagrantly breach case law, the National Framework, and relevant statute like The Mental Capacity Act and have no idea about Powers of Attorney? I think I’ve given enough free tutorials to NHS staff at all levels during my relative’s case not to claim my own time and the cost of a skilled Public Law and Care law lawyer. Legal illiteracy benefits only one party, and it’s not you. I’d encourage anyone to write to the head of the CSU if you’re experiencing any of the above because although they never respond directly, they appear not to like “difficult” cases on their desks and are keen to get someone else to deal with it asap. It may have something to do with their own pay and performance indicators, but I’m just guessing. An approach at this level works especially well if your case is strong and you threaten and can involve media interest. I’ll keep posting these helpful hints unless or until I receive legal instruction not to.